With a political resume that includes twenty years in New Hampshire Senate, three terms on the Executive Council, time in the New Hampshire House and a run for governor, Manchester’s Lou D’Allesandro can, at this point, rightly claim to being something of a New Hampshire political institution. 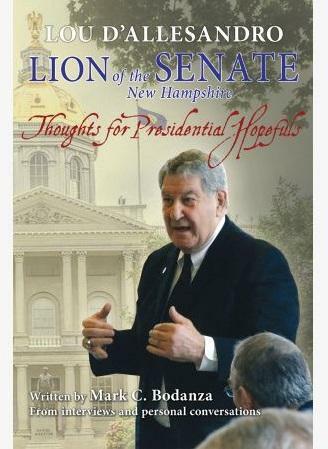 Lion of the NH Senate: Thoughts for Presidential Hopefuls, D’Allesandro’s new as-told-to biography makes the more grandiose and extremely New Hampshire claim, that his importance is truly national. But to be a successful politician is to be a bit of a salesman. That was D’Allesandro at Gibson’s bookstore, where he held a recent book signing. The senator’s purpose there was clear: to sell books. But in many ways D’Allesandro was just doing what, after years, comes naturally, engaging with the public. He was getting his points across but doing plenty of listening, and also, by the way, letting it be known that he’s a person would-be presidents can’t stop courting. The idea that D’Allesandro is a political kingmaker is popular. Particularly with Lou D’Allesandro. And author Mark Bodanza, who wrote the book, is quick to concur. He says he and D’Allesandro worked on the book for a year, and that things were smooth once they hit upon a working method. “We discovered that there was a Dunkin' Donuts exectly 30 minutes from his house and 30 minutes from mine, and after that it became Saturdays with Lou." The idea that D'Allesandro is a political kingmaker is popular. Particularly with Lou D'Allesandro. One fruit of the duo’s labors is a pinpointing of the exact moment Lou D’Allesandro the state senator became Lou D’Allesandro the presidential candidate whisperer. D’Allesandro says it was November 2003, when Mark Liebovich profiled him in the Washington Post. That's one way to read that article. 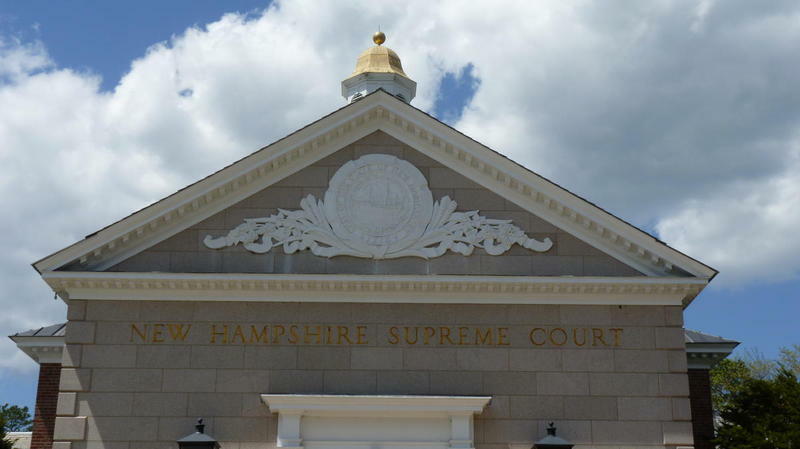 It describes D’Allesandro’s as "A New Hampshire primary archetype: type, the courted local dignitary,” and follows, with some amusement, his protracted - he would say thoughtful - endorsement process. "So this article, for some reason catches on and goes all over the country and then all over the world, so we go to Europe and I get picked up by the BBC. I do television for the BBC, I do some radio for the BBC, everything sort of moves forward in a nice fashion," he says. D’Allesandro did back Democrat John Edwards that year, but no matter. By 2008, D’Allesandro was squiring Hillary Clinton around Manchester’s West Side, a bit of campaigning he claims was crucial to her win here. "In ward 11 in Manchster - we knocked on doors, we had gone into the homes, we had sat down and she she manifested likability and trust, two very positive things." 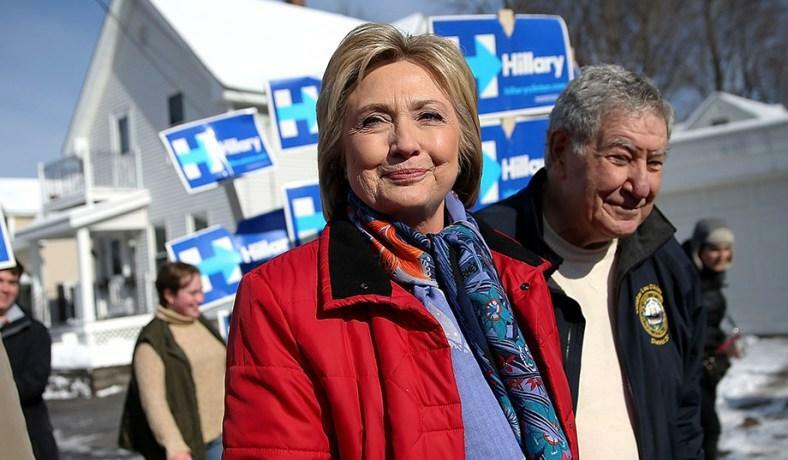 D'Allesandro walks Manchester's streets with Democratic candidate Hillary Clinton in the run-up to the 2016 election. And if there is a constant in D’Allesandro’s life, accentuating the positive, even when circumstances may not make that easy, may be it. That - and gravitating towards the action. "You know we all get 30 seconds of fame if we are lucky," he says. "So grab that 30 second get all 30 seconds don’t let it go by - get all 30 seconds." D’Allesandro is pushing 80 but shows little sign of slowing down. He does have a book to move. And he’s got at least one an eye focused on the audience he likes best. "So, have any presidential candidates sought the book," I ask him. "Have you sent it to anybody?" "Yes sir, the kid - the senator from Oregon. Timmy Ryan. And others have said that they wanted to buy it." And rest assured, D’Allesandro will be selling it. In this Race for the 1st conversation, Laura talks with Andy Sanborn, a Republican running in the closely watched race for New Hampshire's 1st Congressional District. Sanborn is a state senator and current chairman of the Senate Ways and Means and Election Law & Internal Affairs committees. Our Race for the First conversations will focus on the issues at the forefront in the CD1 race, including opioids, guns, veterans, and how each candidate plans to stand out in a crowded race. 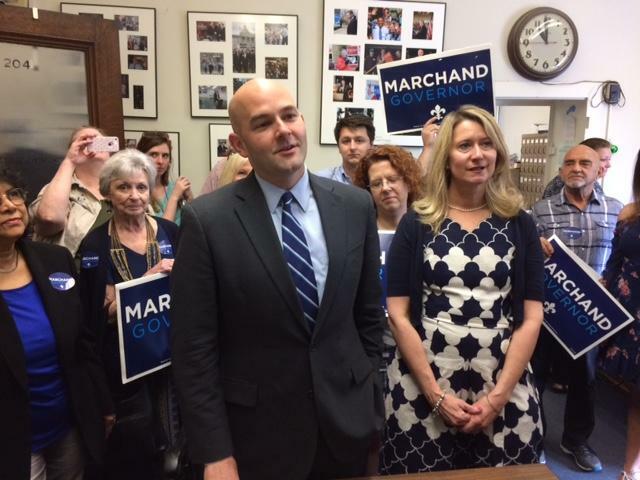 Democrat Steve Marchand made his run for governor official. The former Portsmouth mayor says he sees himself as the frontrunner. Marchand says he hopes to bring progressive values and an auditor's sensibility to the corner office. After he filed his campaign, he said 200 plus campaign events he's held and the thousands of voters he's talked to have taught him a valuable lesson: dDmocrats want a candidate who is capable of being frank and getting specific. School leaders and community members will meet in Pittsfield tonight to learn more about how the state funds education. NHPR’s Daniela Allee has more on why this conversation is happening. Listen to this broadcast story. What Are The Differences Between The Two Democrats Running For N.H. Governor? State Democrats are gearing up to try do something they haven’t had to do in 14 years: reclaim the governor’s office from an incumbent Republican. But before they get to the general election, the Democrats will have to select a nominee, a choice between former state senator Molly Kelly and former Portsmouth mayor Steve Marchand. Joining Rick Ganley to discuss that race is NHPR’s Josh Rogers.